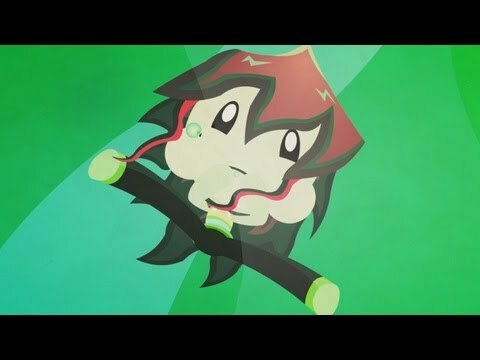 Like the music from the animation? For all you Seattle locals, make sure to head to the Nectar Lounge in Fremont this Wednesday for an all night smorgasbord of electronic fun. Hot performances by Icarus Kid, KGHB, and Dat’r, will be accompanied by dancing, drinking, and dancing while drinking in the Nectar’s radical two-tiered bar space. Come join the fun! Steady C‘s “I’m a Blast (THIS IS HIP HOP SON! )” is this recent week’s most liked track on 8bitcollective. I couldn’t tell you why, to be honest. There doesn’t seem to be a lot in the way of chip involved in this track, beyond what sounds like a three second loop repeating throughout the entire song, topped by a hint of melody during the choruses (chorii?). This beat isn’t even worth repeating a standard four times, let alone for an entire song, but let’s disregard that for a moment. Treating this as the rap song this is, it doesn’t fare any better. Beyond the simple ascending chip intro, a pretty standard white guy’s voice comes in, proclaiming out of nowhere “You never even suspected that I was ramming your sister, until you saw my kids in your family picture” going on to produce references to current youth subcultures (hipsters and ‘kandi’ ravers), never turning into anything worth a second listen. The next verse starts off with more promise, attempts to be comedic, but falls far short of any Bloodhound Gang-like brilliance. I didn’t even listen to the last verse. Sure, I listened through the song, but by this point my interest was already on another tab, thinking and writing up this review. The song ends as it starts, in reverse. Descending nonmelodic outro and a sample of some kid talking. Unremarkable. Basically, don’t listen to this song. I don’t know what the users of 8bc were thinking last week, but this track is just not very good. I was trying to start a weekly column for myself, but if this keeps up it may not happen. I won’t even bother posting it here– if you’d like to listen yourself, please give your thoughts as to how one would enjoy it. Here’s hoping next week’s gives me something better to work with. Opinions expressed in this review are that of the writer, and do not represent the opinions of CrunchyCo as a whole, or its owners. Hope you all had a wonderful day of turkey last month. It is now December and we realize there hasn’t been any posts for awhile. Sorry for the delays, we’ve just been busy as usual with other things. If you’ve been a Crunchy follower for any length of time, you already know we tend to drop off the map every once in awhile. BUT, we always come back eventually, and with new and wonderful things to surprise you. Unfortunately, now is not that time, and I have nothing new and wonderful to share at the moment, sorry! I think the holiday season has brought out the laziness in us, as all we feel like doing is eating pie and playing video games. Perhaps we’ll make a new year’s resolution to get something done! Just keep checking in, following us on fb and twitter, and surely you will be amazed in the near future. Until then, have a great Christmas, or whatever it is you celebrate this time of year.